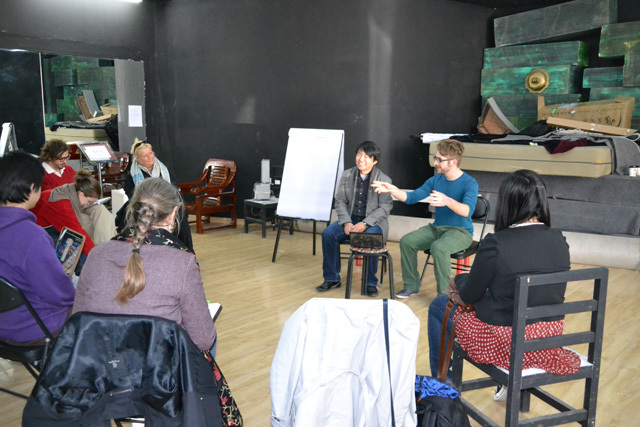 The workshop for playwrights “New texts, new stage” took place in Beijing from the 16th until the 20th of April 2013. 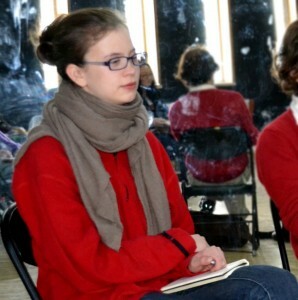 Four young playwrights (two from China and two from Norway) were invited to take part in the workshop. 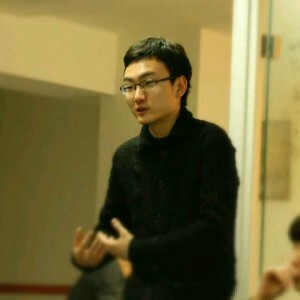 The selected playwrights are Zhao Xun, Yinshi, Oda Fiskum and Marco Demian Vitanza. All the four writers were required to submit one of their works which they would like to work on. The fours texts were firstly translated (the Chinese scripts into English and vice-versa) and then emailed to all the participants involved in the workshop, so that everybody could do some preliminary work before the first meeting in Beijing. After a first plenary session, the participants were divided into two groups consisting of one Chinese and one Norwegian writer. Two experienced dramaturges, Hege Randi Tørressen and Bodil Kvamme, lead one group each, assisted by professional interpreters with experience in theatre practice to overcome the language barrier. 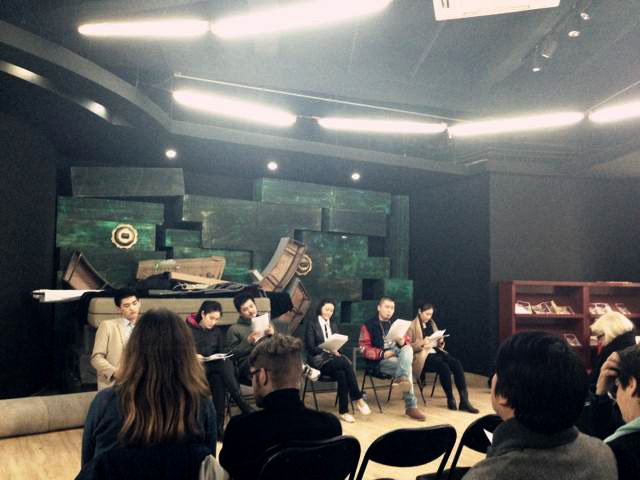 DAY1: On the first day all the texts were read aloud by the six actors of the National Theatre of China’s troupe. 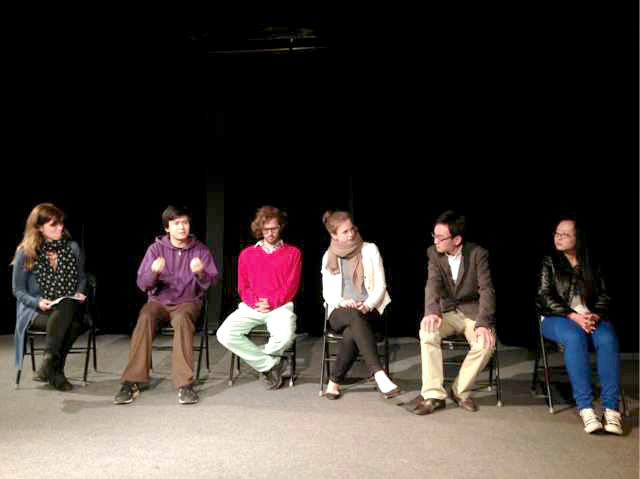 The actors were also asked to give their views on the plays. DAY 2 – 4: During the following three days, the playwrights were asked to deliver five pages of new material each day. The new material had to be sent for translation by 7 PM, so that the two translators could send the translation back within the night and allow the two dramaturges to prepare the next morning’s session. The actors joined the groups also on day 3 to read aloud the new material and provide their personal feedback. 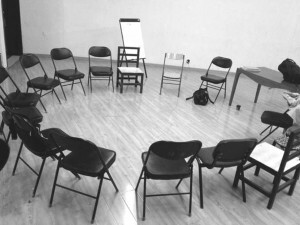 Besides the sessions dedicated to script-writing, the workshop also included a series of lectures. 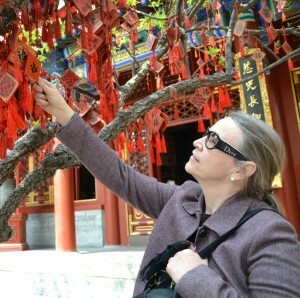 Ibsen International’s dramaturge Hege Randi Tørressen gave a lecture on “Dramaturgy from a Western Perspective”; Qu Shifei, professor of dramatic literature at the Central Academy od Drama of Beijing, gave a lecture on “Chinese Drama”; Shao Zehui, Chinese theatre director, gave a lecture about his work with the Beijing Fringe Festival. DAY 5: On the fifth day of the workshop a group of guests were invited to attend a reading consisting of selected excerpts from the four scripts. Afterwards, there was a Q&A session about the workshop, its participants and the four texts. OUTCOME: This has been an enriching and challenging experience for everybody involved in the workshop. Through a substantial daily workload, strict deadlines, continuous discussions and exchange with the other participants, the four playwrights were pushed to explore different possibilities, to develop their text along different lines. The playwrights will work autonomously on their scripts for the next six months. In November 2013, during SESSION 2, they will gather again in Beijing for a further revision and reworking of the drafts. The final drafts will be handed in by the spring of 2014 and used as the departure point for a WORKSHOP ON DIRECTION, with the final objective being the staging of full-lenght plays in 2015. “In such a short time, I have obtained much from Ibsen International’s workshop. 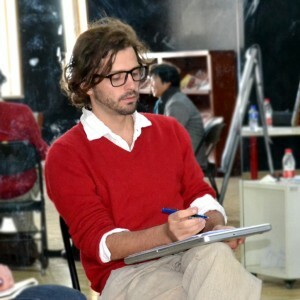 Firstly, the approach of this workshop is different from the traditional script-writing methods adopted in China, that is, a playwright in his own room, writing a piece on his own, maybe exchanging ideas and suggestions with other playwrights only. Conversely, in this workshop the actors were there from the very beginning and during the whole process. Having the actors reading the text aloud during the writing process, bringing up their suggestions and personal impressions, helped us to make the scripts ‘ready to be staged’ from the offset. “I benefitted a lot from the workshop. I was challenged by dramaturge Bodil Kvamme to try out different ways of opening up the text, and this was both interesting and fruitful. We were asked to write five new pages each day. This didn’t fit my process every day, but it was nonetheless an interesting challenge. The feedback from Kvamme was both relevant and inspiring. I wish the workshop was longer, but I believe we got pretty far in such a short time. “The most unique aspect of the workshop was the opportunity to experiment with my own text within a professional context without the pressure of a production looming overhead. To be able to work with fellow writers from both China and Norway on top of this made for a new and valuable experience for me. We had complete freedom to try new approaches because the final goal was not to have a performance-ready script at the end. During the workshop I was constantly pushed forward while at the same time being able to draw inspiration from my fellow writers. Hege and the actors joined efforts in pushing me out of my comfort zone and, though it felt very uncomfortable at first, it resulted in some decent material. I have now gained a lot of new tools and possible ways forward, in my general production as well as with this particular text. A lot of interesting conversations happened between actors, dramaturges, and the other playwrights. We argued, agreed, opened up, and gained a lot of new perspectives, both on our own and the other country’s contemporary situation. After the workshop we have all stayed in touch, kept exchanging ideas and criticism, and look forward to the next ìchapter’ ”.